The president may not be a fan of the press. But his new Supreme Court pick sure seems to be. 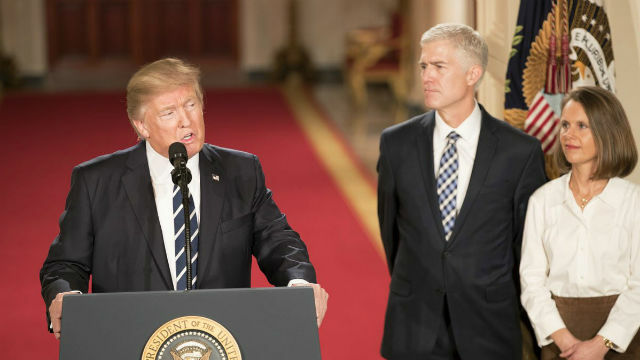 Donald Trump nominated Neil Gorsuch Tuesday to succeed Antonin Scalia, whose seat on the nation’s highest bench has remained vacant since his death in February 2016. Gorsuch, a 49-year-old judge on the U.S. Court of Appeals for the 10th Circuit, is a former journalist with a strong judicial record of supporting freedom of the press. Before attending Harvard Law and embarking on a legal career, Gorsuch studied at Columbia University, where he wrote columns for the student newspaper, the Columbia Daily Spectator. He also co-founded an alternative student newspaper, The Fed, aimed at rebutting what he considered the dominant “politically correct” philosophy on campus. During his presidential campaign, Trump vowed to punish newspapers for writing negative stories about him. “I’m going to open up our libel laws so when they write purposely negative and horrible and false articles, we can sue them and win lots of money,” he said. But, it might be a bit more difficult to do that with Gorsuch on the Supreme Court. The high court is often the final arbiter on First Amendment controversies, and Gorsuch’s record indicates he’s a pro-journalism jurist. For example, in a 2007 case, Alvarado v. KOB-TV, Gorsuch and the 10th Circuit Court ruled that a controversial story’s newsworthiness outweighed a subject’s right to privacy. Two Albuquerque policemen had sued a local television station for invasion of privacy and intentional infliction of emotional distress for reporting that they were being investigated for sexual assault. Although the two officers were never charged and an investigation eventually cleared them of wrongdoing, the court ruled that the public has a legitimate interest in stories about allegations of police misconduct. Gorsuch has also defended the rights of student journalists. 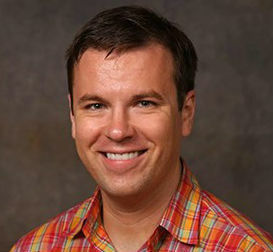 In a much-celebrated 2010 decision, Gorsuch joined the court in ruling that a college journalist had his constitutional rights violated when police searched his home and confiscated his computer after a professor complained of being libeled by the student’s satirical newsletter. Ultimately, law enforcement officials paid the student scribe $425,000 to settle the case. The American Civil Liberties Union, Student Press Law Center and Foundation for Individual Rights in Education all lauded the court’s decision. Gorsuch’s journalism roots really shined through in a 2011 case, Bustos v. A&E Television Networks. He and his colleagues ruled the History Channel did not defame a man when it aired a documentary that identified him as being part of a white supremacist group. Although the plaintiff conspired with the Aryan Brotherhood, he was not a member and said the misidentification caused him to receive threats from both the gang and its rivals. The writing skills and experience Gorsuch acquired while practicing journalism have no doubt served him well as a judge. Perhaps someday soon he’ll use them to write a landmark decision related to press freedom and the First Amendment. With Trump in the White House, journalists could certainly use an ally on the Supreme Court.